Sheds Online uses only the finest materials to produce a quality structure without the high price tag. All materials satisfy engineering standards, and have undergone rigorous testing to ensure their reliability and performance. All sheds are available in either Zincalume or Colorbond. The COLORBOND® steel colours shown here have been reproduced to represent actual product colours as accurately as possible. However, we recommend checking your chosen colour against an actual sample of the product before purchasing as varying light conditions and limitations of the printing process may affect colour tones. 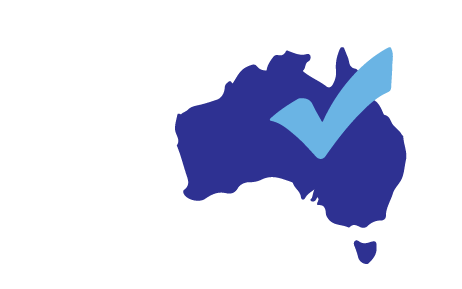 COLORBOND®, BlueScope and ® colour names are registered trade marks of BlueScope Steel Limited. colour names are trade marks of BlueScope Steel Limited. Sheds Online combine economy, practicability and modern appearance to produce a lightweight roofing and walling profile. High tensile steel means lightweight and high strength. Deep ribs provide excellent spanning capability with good water carrying capacity. The sheets are usually fixed at every rib on each batten/purlin (ie 4 fasteners per sheet) to provide maximum performance and efficiency. Available in standard Zincalume or a variety of oven baked colours. This wall sheeting provides a low cost alternative to industrial claddings and can be used effectively in either the domestic or industrial products. 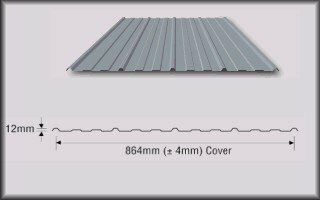 Each sheet provides 864mm of covering which allows maximum efficiency at a reduced cost. The sheets are made from high tensile steel which maintains strength without sacrificing weight. The usual fixings are 4 fasteners per sheet at each batten/purlin. Available in standard Zincalume or a variety of oven baked colours. Tradditional corrugated cladding is now enhanced by the use of modern hi-tensile materials and a range of prefinished colorbond colours. 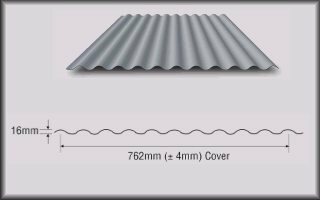 Corrugated cladding is still an economical solution for roofing and wall cladding as it is available in long lengths and provides easy installation. 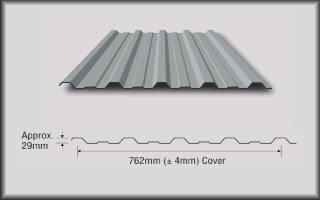 Corrugated cladding can be fixed with either 3 or 5 fasteners per sheet at each batten/purlin. These can be placed on the crest for roof installations or in the valley for walls installations. 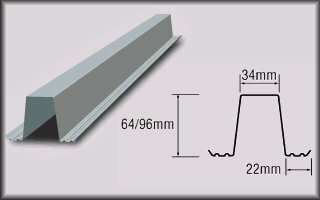 Cold formed purlins & girts are efficient, economical structural members, produced from BHP galvaspan steel – high strength, low weight. Designed in accordance with AS4600 makes them suitable for a range of applications, including Government projects. Available in a full range of C & Z sections. 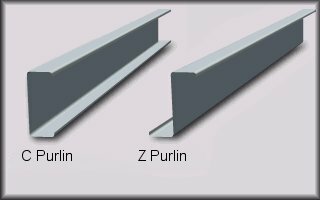 Both C & Z Sections are easily installed in a single, double, double lapped, continuous lapped and reduced end lap systems. Top Hats are stable, do not require bridging or cleats and offer the advantages of high tensile steel. They are available in a range of sizes and thickness to suit various applications. They have a wide top flange for easy cladding fixing. Easy ‘Tek’ screw fixing which eliminates cleat costs. 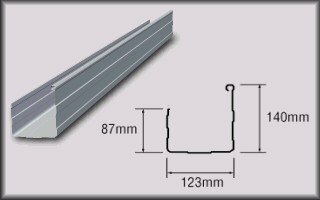 All sections are produced from high tensile galvanised steel in accordance with AS1397 and designed in accordance with AS1538. Top hats can be lapped with 10% laps and 2 screws at the ends of the lap, to provide continuity and better structure performance. A square feature gutter providing cleaner appearance, a high front to hide the ends of roofing materials and with all the advantages of high tensile steel. The rectangular shape allows easy cutting and folding at corners. Available with or without overflow slots in 123mm or 130mm widths. Available in standard Zincalume or a variety of oven baked colours.